Effective July 1, 2013, a recently passed Colorado law will prohibit employers from using “consumer credit information” for employment decisions in that state (with exceptions, of course). The “Employment Opportunity Act” (Colo. Rev. St 8-2-126) was signed into law April 19 th, making Colorado the 9th state to enact such a law. In light of this law, Colorado employers should evaluate their current background screening procedures to ensure they will be in compliance regarding the use of credit information in employment decisions and the disclosure of that use to the employee. Here’s the essence of the law: Employers may not use credit-related information for hiring, promotion, demotion, reassignment, or any of a number of other employment actions. The law was written broadly to cover all private sector employers with four or more employees, with limited exemptions summarized below. The law also expands requirements for disclosure to the employee for adverse actions based on a credit report or when a credit report is used because it is “substantially related” to a position. For a more detailed account, see the post by Pamela Devata and Natasha Riesco in the Seyfarth Shaw LLP blog. Companies who are legally required to check the credit standing of their employees. Cases where a credit report is substantially related to the employee’s current or potential job. “Substantially related” positions include executive or managerial jobs that involve the direction of a business unit or responsibility for financial operations of certain kinds, or involve contracts with federal agencies including defense, intelligence, national security, or space. However, to apply credit information to these positions, an employer must further have a “bona fide purpose” for using the information and disclose that purpose to the employee. The law also states that an employer who uses a credit report as part of an adverse employment decision must disclose the specific information used in that decision to the candidate or employee. Adverse actions include denial of employment, demotion, termination, or a number of other employment actions. A person who is the subject of an adverse action may file a complaint with the Colorado Division of Labor. Upon investigation, the Division may award up to $2,500 to the prevailing party. California, Connecticut, Hawaii, Illinois, Maryland, Oregon, Vermont, and Washington preceded Colorado in passing this type of law, and several other states are considering it. The EEOC has also expressed interest in the issue. Employers will face increasing pressure to ensure that the use of consumer credit reports is limited to well-justified applications. 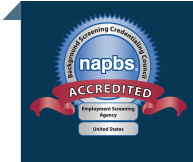 What we find interesting about this and other legislation related to employment credit reports is that the information is not earth-shattering for reputable employment screening providers. Ethical and knowledgeable background screening companies (those who provide credit reports to employers for employment-related decisions) have long advised a policy of running credit reports for positions only where there is a clear corollary between job necessity and the characteristics that can be extrapolated from the credit history information.